Do any of you sketch with waterproof ink or use ink and watercolour? Or use brushes with fp ink for lettering? 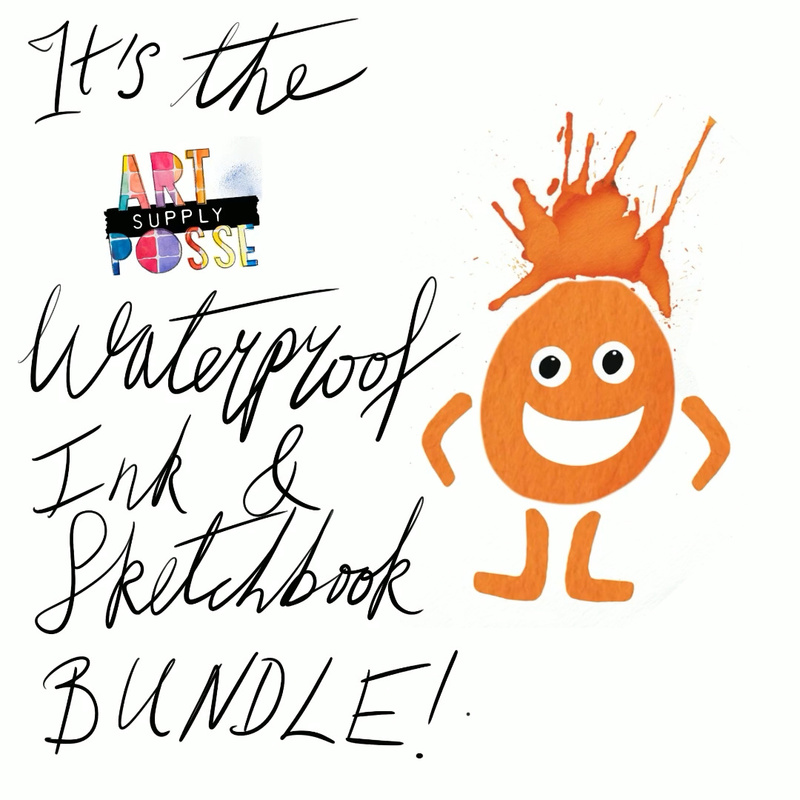 Art Supply Posse are putting together a “Waterproof ink and sketchbook bundle” to raise funds for podcast and forum hosting. Will contain 6 waterproof ink sample vials from DeAtramentis, R&K, and Super5. The sketchbooks will be stapled and from Seawhite of Brighton. These sketchbooks have been recommended at the Well Appointed Desk. Less from RSVP also vouches for the sketchbooks. Note! This 140 gsm paper is not for writing, but it handles ink well. Great for “urban sketchers” with fountain pens. It’s for drawing, lettering, colouring, painting. The surface feels rough. It is truly excellent for mixed media. Steffi from Fountainfeder will provide the inks to us at cost to raise money for hosting fees.